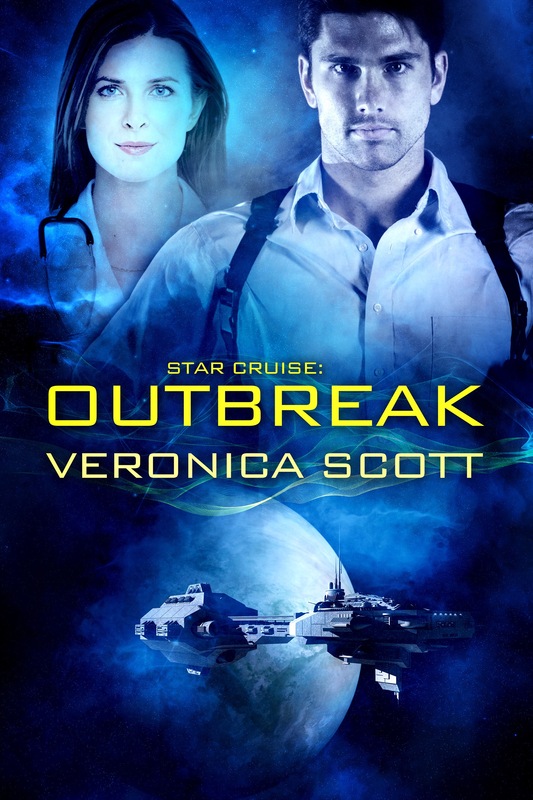 The Adventures of The Everyday Fangirl again welcomes author Veronica Scott as a guest blogger to talk about her story Star Cruise: Outbreak. I decided to focus on Star Cruise: Outbreak for this interview because it was recently honored with a double SFR Galaxy Award mention and I thought it might be a timely topic. The novel also received a third place award in the Judge A Book By Its Cover contest, judged by professional book sellers, which was exciting but mostly due to the artistry of Fiona Jayde, who does all my wonderful SFR book covers. What kind of research did you have to do for this novel? It was my usual combination of many various topics that would come together on board the interstellar cruise ship Nebula Zephyr. I had to research the cruise industry, to have lots of cool amenities for my passengers, and so I looked at travel blogs, the union for cruise ship workers, job listings, books on running large ships successfully, etc. I also did ‘research’ by watching current reality shows like “Below Deck,” and I read the synopsis of every single episode of the old TV show “Love Boat,” trying to get a feel for what overall story and worldbuilding elements contributed to it being such a successful program. And of course long ago, I’d done my research into Titanic for the book Wreck of the Nebula Dream, so I still have those notes on cruise ships and the passengers. I also had to do extensive research into communicable diseases, with emphasis on the types found on cruise ships or other closed environments. I read up on Legionnaire’s disease and even brain eating amoebas. Yes, watching the TV shows on cruises was more fun than perusing medical sites, but I had to create a plausible and terrifying illness for my cruise ship, and keep the symptoms and prognosis believable as the crisis continues. I don’t know about you but if I read too much on sites like WebMD and the Mayo Clinic, I start convincing myself I have every single disease known to man LOL. I do know I don’t have the one afflicting the Nebula Zephyr. And the third aspect I researched was PTSD, particularly for medical personnel who served in frontline combat hospitals. There were several nonfiction accounts from fairly recent events like Iraq that were grim but useful. My heroine, Dr. Emily Shane, is known as the “Angel of Fantalar” for her deeds in frontline combat, but she’s quite self-critical for not being able to save everyone. The cruise ship is a totally new environment for her and in the beginning she’s not sure how well she’ll fit with pampered passengers. Most of the crew members are military veterans like her, however, and she finds common ground with them. Do the names of the characters in your novel have some sort of significance or importance to you? I can’t usually quantify how I arrive at my character’s names – I just like the ‘sound’ and my Muse kind of goes “Oh yes, your heroine’s name is Emily and your hero is Jake,” as in this case, and I start writing. Actually, when it comes to names, I had more of a process for how to name my cruise ships. I researched what sort of names the modern day ocean-going ships tend to have and I decided to use the world “nebula” as the first half of the title, and also in my head, as a class of luxury interstellar cruise liner. For the second word of the names, I went with something more ethereal and evocative – “dream” for my original novel and “zephyr” for this one. Since my Dad loved science fiction, one of the first movies I ever remember seeing (on late night TV) was “Forbidden Planet,” so I guess you could say I was imprinted with scifi early on. 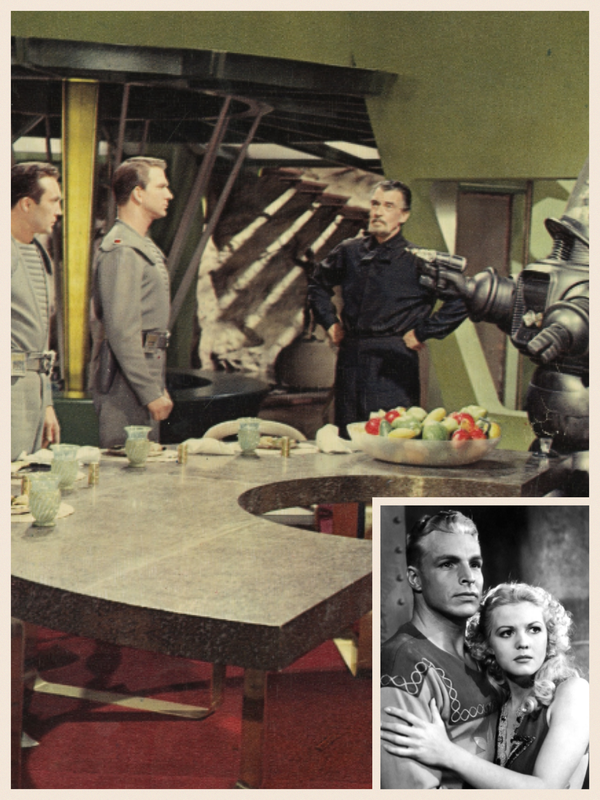 The local TV station also broadcast the old episodes of the 1930’s “Flash Gordon” serial with Buster Crabbe daily and as a little kid I was blind to the outdated production techniques and acting, and totally enthralled with the stories. In fact, I keep a framed photo from one of the Flash episodes next to my writing desk and a small Robby the Robot on my bookcase as reminders of my scifi ‘roots’. But I always felt there needed to be more romance in everything scifi, so I supply that element in my writing. I’m also fascinated by disasters and how people act and react, going back to the fact that my mother’s family had a belief that one of their distant relatives survived the Titanic as a second class passenger. Living in the age of the internet, I’ve come to sadly accept that the lady probably wasn’t related to us, despite the unusual surname, but the story still inspired me. I’ve also always been drawn to medical mysteries, especially the work of epidemiologists tracking down outbreaks, so it was a nice extra to be able to include some of that mystery in this novel. My father was one of the few people in the country to contract and survive a certain disease as a young child, thoroughly mystifying the medical authorities of his time, and the story of how they eventually tracked it back to the source fascinated me. What makes you laugh? Currently? My brand new grandbaby, the antics of my cats and certain episodes of the “Big Bang Theory” TV show. I’m not aware of anything special I do to remain sane as a writer. I just am one and I write like I breathe. I don’t even try to explain the process by which my Muse (or subconscious) generates my fiction. I do believe very strongly as a human being in never giving up, no matter the situation, but also looking for unusual or different ways to problem solve if the straight ahead approach isn’t working. My characters very much do that. They don’t panic in the crisis, they’re hopeful and they believe in romance and the Happy Ever After, just as I do! She saved countless soldiers in the wars … but does she have the weapons to fight an outbreak? Dr. Emily Shane, veteran of the Sector Wars, is known as “The Angel of Fantalar” for her bravery under fire as a medic. However, the doctor has her own war wounds–severe PTSD and guilt over those she failed to save. Persuaded to fill a seemingly frivolous berth as ship’s doctor on the huge and luxurious interstellar cruise liner Nebula Zephyr, she finds the job brings unexpected perks–a luxe beach deck with water imported from Tahumaroa II, and Security Officer Jake Dilon, a fellow veteran who heats her up like a tropical sun. 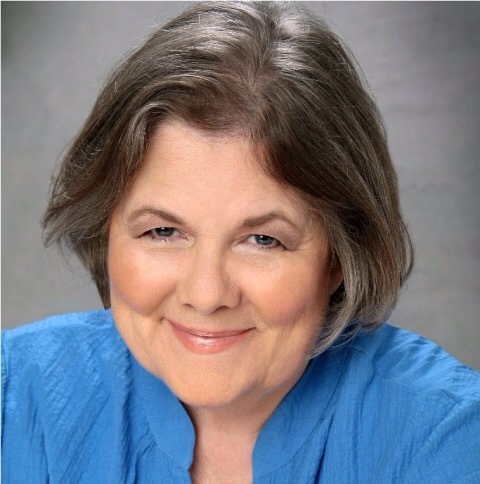 You can learn more about Veronica Scott by checking out her Blog, her Amazon Author Page, and by following her on Twitter or Facebook. Loved the interview, Veronica! I especially enjoyed learning more about your process as a writer. That really would be cool to have a relative who was a survivor of the Titanic! Always fun to answer Patty’s questions!